Stay in our family rooms and get an escape to a world filled with calmness and beauty. 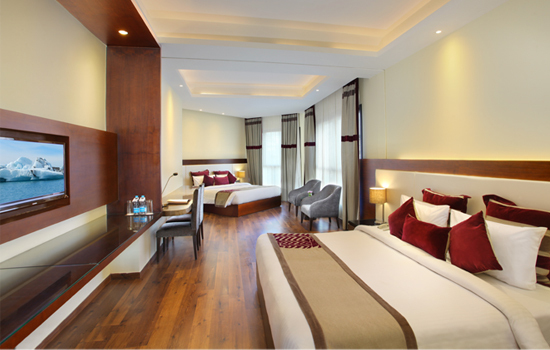 Family rooms are spread over an area of 256 sqft, come with double beds, and are equipped with modern day’s facilities. Daily Newspaper / Non A/C / Table fan / Pillar Heater. DTH Channels, LED T V / Flat TV, Intercom Facility.